"You can essentially think of it as one giant piece of saran wrap covered with thrusters, and you can curl it however you want." In the 68 short years since humans first launched an object into space, we’ve done a remarkably good — or arguably bad — job of filling it with more: NASA estimates that there are about 500,000 human-made objects in orbit around our planet. A recently-designed spacecraft plans to tackle this “space junk” by balling it up and tossing it into our atmosphere. “You can essentially think of it as one giant piece of saran wrap covered with thrusters, and you can curl it however you want,” Jason Derleth, program executive of the NASA Innovative Advanced Concepts (NIAC) Program, described to Popular Science. The proposed spacecraft, developed by researchers at the California-based Aerospace Corporation and funded by NIAC, will be about three feet square and about 10 microns thick, thinner than a human hair. Made of flexible plastic and powered by a thin layer of solar cells, these “Bane Crafts” will have thrusters on each corner that allow the material to wrap around space debris and pull it down into the atmosphere, to be burned up. The Bane Craft is not the first operation which aims to reduce space debris; a Singapore-based startup has already received funding to become our first atmospheric janitors, while Switzerland has planned a satellite-net setup to catch this celestial garbage. 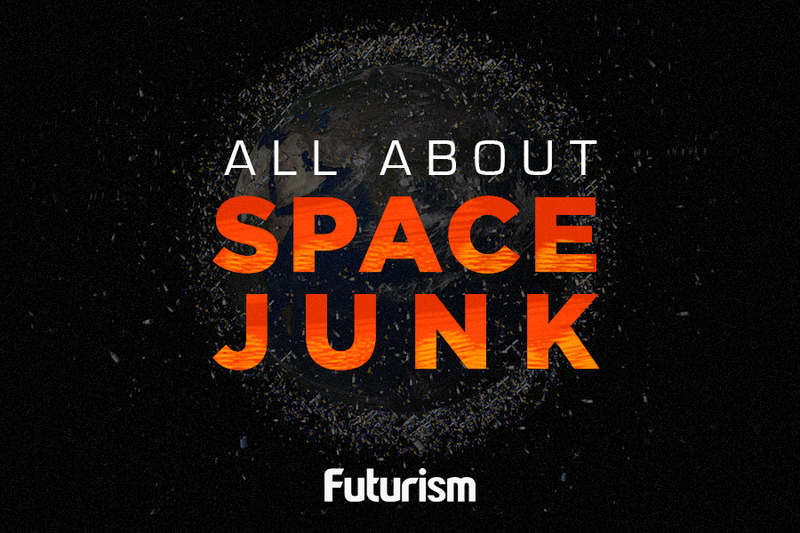 Space debris can be as small as a fleck of paint or a stray screw, or as a large as a dead satellite; every time a rocket launches into space, we create more of it. But, regardless of size, these floating bits of humanity pose a big threat to any space-based operation. Even the tiniest bolt could threaten humans orbiting earth if it punctured their spacecraft, given that NASA estimates most debris is traveling at about 28163 km/h (17,500 mph). Seeing as space debris has already dinged a European satellite and even destroyed houses by crashing to Earth, it’s not surprising that scientists all over the world are preparing for a cleanup.